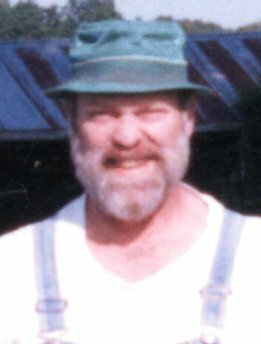 Leslie Thomas McKnelly Sr., April 8, 1942- June 25, 2015, was a football player, a father, a volunteer for the Marines, a missionary for the Presbyterian church, a high school teacher, a teacher and an Education Supervisor for the Federal Bureau of Prisons, a gardener, a beer brewer, and a good man. Tom was the first son of Mildred Lucille Scriven and James Lee (Mac) McKnelly. Tom met his future wife, Joyce Ann Clippard, at Pulaski Heights Presbyterian Church, where their families were long time members. At Hall High School in Little Rock, Ark., Tom played football and went on to do kickoff's, extra points, and field goals for the Arkansas Razorbacks. He was Co-Captain of the team his senior year and scored the most points on the team (45, tying him for 4th in the nation that year) in 1964, the year of the Arkansas National Championship team. Tom volunteered for the Marines that year but received an Honorable Discharge for flat feet. He and his family later volunteered to be missionaries for the Presbyterian Church and spent a year in Brussels to learn the Tshiluba language before spending time in a small village 50 miles from Kinshasa in what was known then as Zaire (now the Democratic Republic of the Congo). Upon their return from the mission, Tom was a High School teacher and the Football Coach at Platte City High School in Missouri before going to work at Leavenworth Federal Penitentiary as a teacher, then holding other education positions and eventually the head of the education department at other institutions. His career with the Corrections system took him and his family to San Diego, Calif. and Marion, Ill., before settling in Westfield, Wisc. in 1990 where Tom and Joyce bought their dream home out in the country on five acres. Gardening, canning, genealogy, beer brewing, and wine making became a way of life for Tom and Joyce from retirement in 1994 until health problems forced a slower life watching the birds, other wildlife, and the seasons in the country. Tom spent years traveling the Midwest and contacting relatives to find his family roots. He found the original McKnelly (John) who emigrated from Northern Ireland in 1775, joined Washington's army, fought the British in Boston, got assigned to be a frontier scout, and settled on 40 acres in Virginia after the war. This story, and many others, was chronicled in a privately published book, A McKnelly Family History, that Tom published and gave to family and close friends. Tom had a great sense of humor, teasing and playing with his kids, nieces, and nephews, then the grandkids. He and Joyce grew up with the Presbyterian church but cultivated a strong, personal spirituality later in life. They led by example, choosing to live a simple life focused on hard work and strong values. Tom is survived by his wife, Joyce; his children, Tom Jr., Karen, and Sharon; his daughter-in-law Gemma and grandchildren Kate, Megan, and Tommy; his son-in-law Tim Ballance and grandchildren Ashley and Jesse; his brother Phil and sister-in-law Susan and their children David and Leslie; his sister-in-law Betty Matheney, her husband Pierce, and their children Susan, Matt, and Kendall and their spouses (Ken, Brenda, and Becky) and their children Audrey, Megan, Matthew, Melina, Andrew, and Amber. In lieu of flowers, the family requests that donations be made to Heifer International. Arrangements are under the direction of Griffin Family Funeral Chapels, Camarillo Ph. 805-482-1166.